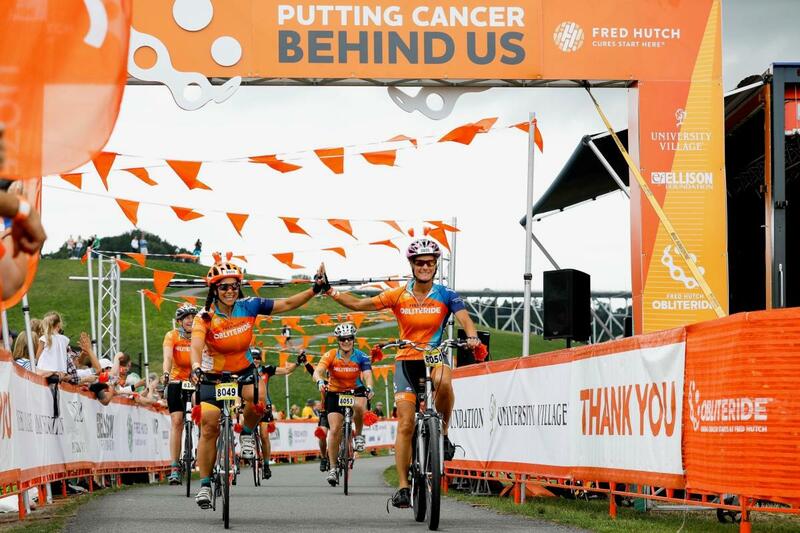 You can bike and walk all year, but only one weekend a year is it surrounded by an amazing, cancer-fighting community, incredible food and entertainment, and an uplifting and inspiring atmosphere that is Obliteride. Mark your calendar, and start getting excited for the 6 year anniversary of an event that has become an annual tradition in the community! This weekend brings together a community whose collective spirit of relentlessness will create the world we all want to live in. A world where cancer is behind us. As we train and fundraise throughout the year and cross the Finish Line on Saturday, Aug. 11, we remember who we Obliteride for; the loved ones who lost their battle, those currently battling, for kids who will be impacted by this disease and all those survivors who are still with us today because of research happening at Fred Hutch. This is a journey where everyone has the same goal - better treatments, better outcomes and better lives. Together, we've raised over $12 million to date; every participant-raised dollar goes toward lifesaving cancer research at Fred Hutch. Each year, we're looking to recruit more Obliteriders, fundraise more money, have more fun and ultimately allow our scientists to explore more cures that will save the lives of our loved ones.